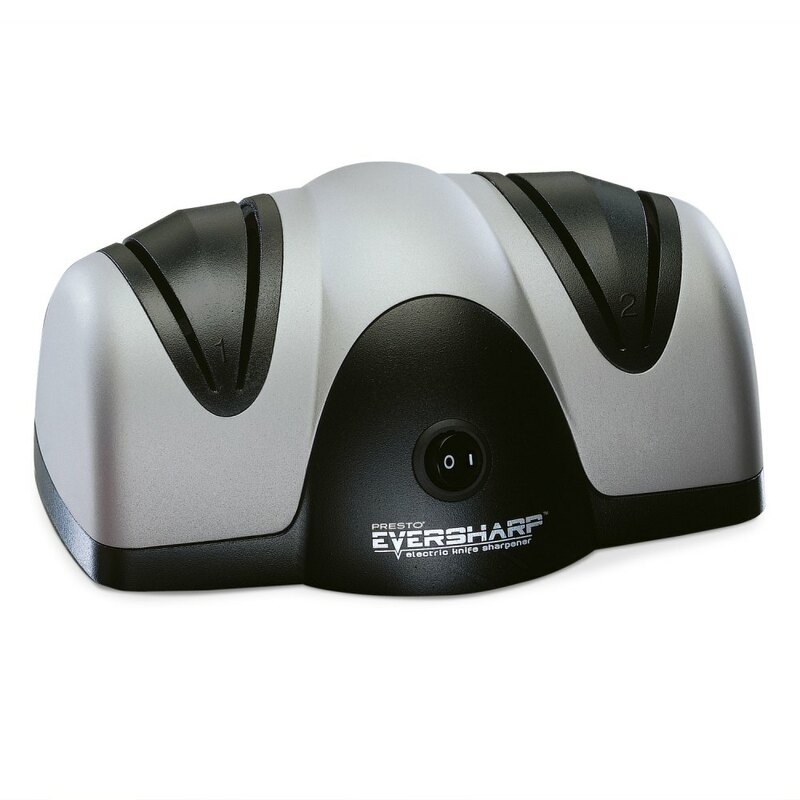 The easy, automatic way to sharpen most kitchen and sporting knives to a razor-sharp edge. Professional two-stage system precision grinds a perfect sharpening angle, then fine hones and polishes the edge. Uses Sapphirite™ sharpening wheels, the same ultra hard material used in professional sharpening shops. No-guess blade guides automatically hold knife at the ideal sharpening angle every time. Stage 1: Precision grinding begins the process by creating a precisely angled edge. Stage 2: Fine honing completes the process by polishing the blade to an exact, razor-sharp edge.